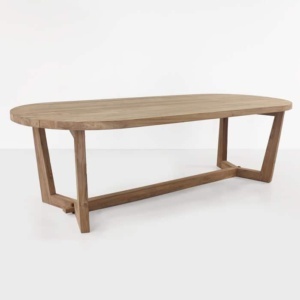 This is an absolutely stunning, large and monolithic outdoor dining table with square and linear features. 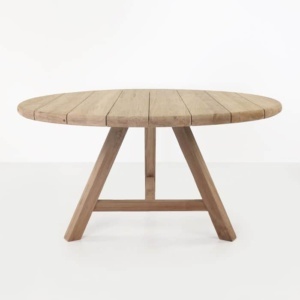 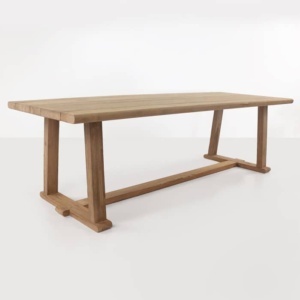 The robust build quality of this reclaimed teak table features a thick tabletop and ample leg architecture with a definitive artsy leg structure. 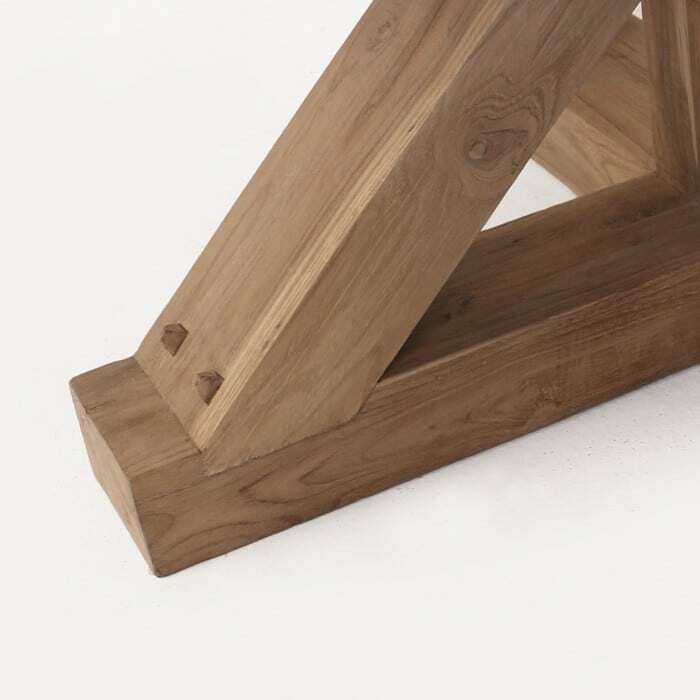 The coming together of the legs in this piece show a beautiful and interesting geometric design that looks worthy of being in a museum. 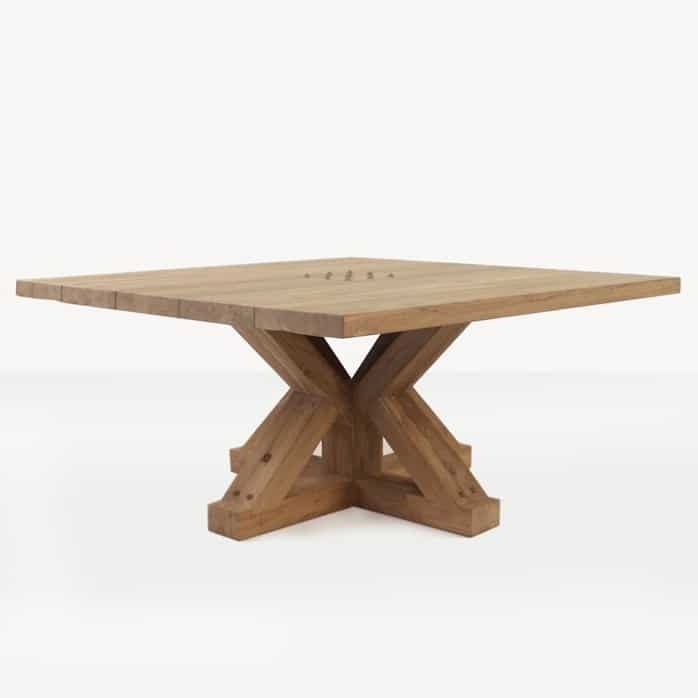 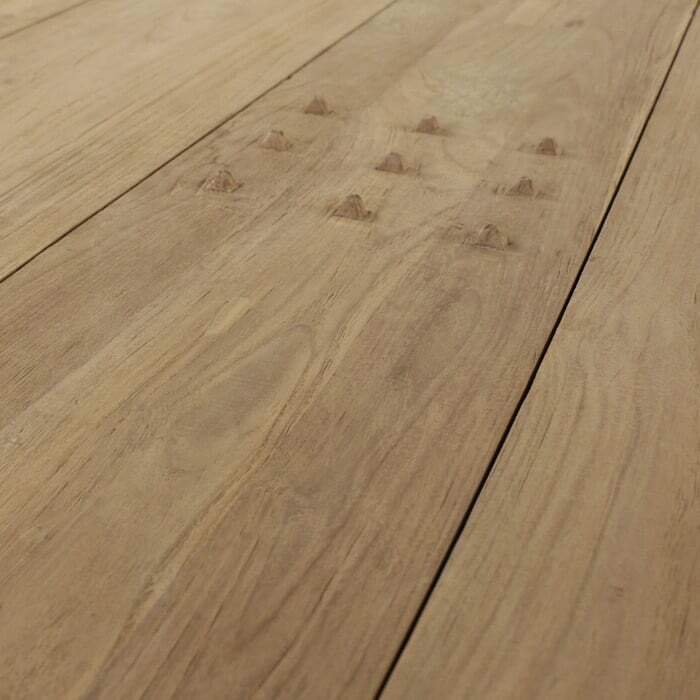 This statement piece is also heavy on utility and fits in almost any space due to the relatively compact footprint, despite the large format of the reclaimed teak wood used to construct it. 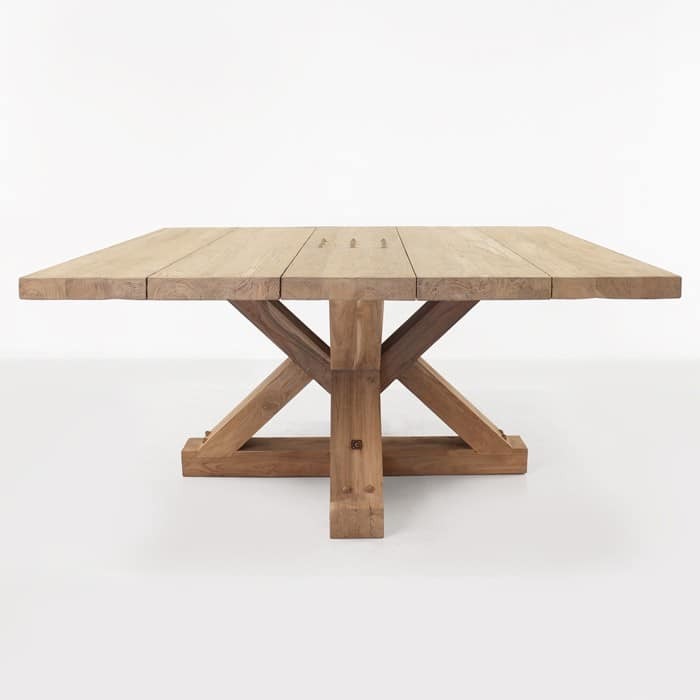 A spectacular, heavy, well-built outdoor dining table with an artistic design and a special feel.